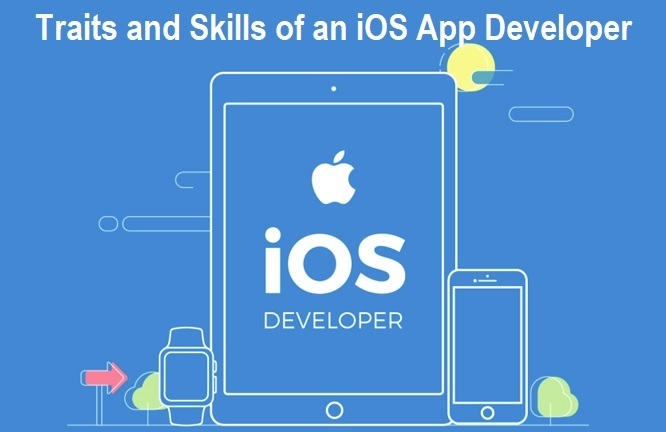 Are you willing to be an iOS Developer? If yes, then you took a right decision. Today, the mobile phone industry has indisputably gone hot. In the upcoming years, it will create more job opportunities for job seekers. There are a number of job vacancies in mobile industries. Companies are looking towards fulfilling those positions. There are different positions for which you may apply as an intern, junior developer, and senior developer. What are the important traits of an iOS Developer? Needs to have patience: Everybody wants to get growth in their career but if they wouldn’t have patience, they can’t achieve anything easily. To face the adverse situations, they need to overcome all such barriers that are restricting them from attaining their dream job. Required passion: If you want to be special, you need to have a passion for that particular profession. Passion is the most important thing which always lifts you up and never lets you go down. Needs to be creative: For resolving any hassle related to the software program which you are running currently, it can be done in different possible ways. The first priority of a programmer is to think in a creative way so that the issue will get resolved efficiently. Needs to have logic: When you want to be an iOS developer, it is essential to be logical. After the concepts get cleared, answer to every query will be with you. In the current era, mobile technology has become the everyday part. As a result, the demand for mobile app developer especially of iOS has increased. Those who are interested to enter in the mobile app development industry, there are lots of opportunities available for them in the industry. Analyzing power: Besides other required skills, an iOS developer should have a problem-solving attitude. It doesn’t matter how many certificates you got as an iPhone developer, analytic skills are required. Those who want to achieve something special, it is crucial for them to do something extraordinary. If an MNC will hire you, they will ask everything which can fulfill the needs of the end users. Knowledge about UI/UX design: It is not an easy task for a developer to develop an app. In the current mobile industry, you can get every possible application which you want to download. The main duty of an iOS Developer is to design a user-friendly app so that they won’t get into trouble. There is no confusion if employers are looking for an efficient iOS developer. If a developer would be capable enough, then they would be able to design something better. Anybody who doesn’t have an idea about UI/UX, they can select some online courses to have some information. Concepts should be clear: If you are going to build an app, knowing to develop an app is not the only thing required. But, a developer must know everything to provide a user-friendly application. Should know about agile methodologies: To be a successful iOS developer, you should be efficient in agile methodologies. To crack the interview, you need to have the complete insight into it. Agile is the general method by which the mobile industry works. It is basically the software development methods group which is an amalgamation of cross-functional and self-organizing. Needs to have a Computer Science degree or something equal: There are always some people who always have doubts associated with entrance in the mobile app industry. If you are one of them, you need not be in confusion. It is just recommended for you to pursue a technical degree in Computer Science or equivalent. Sometimes, it doesn’t take some academic degree to enter into the mobile app industry. When you will have working experience in the mobile app industry, you can simply earn a good job. Should be flexible enough: If you going to join an organization as an iOS developer, flexibility and willingness are required. It doesn’t matter if the application has been completely developed; support can be required even after that. If you are a developer, you need to be available 24/7 to provide assistance associated with the app. Should be committed to delivering the best quality: A developer should deliver the best. When you are developing an app, you should take care of a number of important activities. These include planning, development, and execution. Relevant experience is required: When an iOS app development company will hire you, they will ask you to show the relevant experience you have. If you will have all such qualities, you will get hired immediately. Needs to have excellent communication skills: Anyone who wants to be in the field of mobile development needs to be a pro in communication skills. There will be a number of occasions when you need to talk to the client. Cost management: As a developer, you need to know the cost management. An employer always looks for someone who can minimize the overall cost. If you know the best possible method to manage cost, you will definitely receive something better from the different employer in the iOS development industry. The above-given information is all about the different traits an iOS developer must own. It will help him to generate all required skills to be a successful developer in the mobile application development industry.